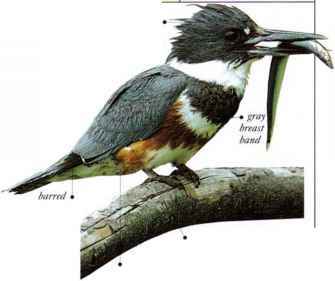 An island-dwelling pigeon, this odd-looking species has a thin head and neck, an upright wattle on the hill, and long, spiky neck leathers that can be raised in a rulT. The tail is short and white. 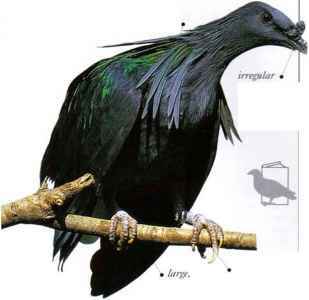 Nicobar Pigeons feed in the forest undergrowth, taking fruit and seeds. The birds fly nomadicallv from island to island in search of feeding sites. Nesting colonics are close packed and sometimes very large. • NliST An untidy structure made of twigs, either in a bush or in a tree. • DISTRIBUTION From the Nicobar Islands (in the Indian Ocean off Burma) through S.E. Asia to Indonesia. New (itiinea, and the Solomon Islands.